After further consideration, we'll call the oven less of a "must" and more of a "really want". Wouldn't be caught without my oven. I haven't figured out the convection oven yet but I like having both. I need a clay tile! Convection ovens are easy. Reduce themp about 10-15 degrees and check 10 minutes sooner. Without an oven you gain 2 drawers of storage. 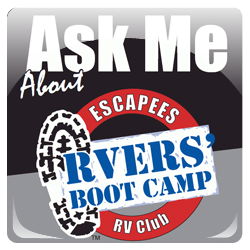 I'm not really big on change when it comes to my RVs. I get used to certain systems and the way they work and I would rather not have everything different in the next one. But I will admit once you get used to the convection/microwave you would never really want to switch back to an oven. Also, the induction stove top threw us for a loop and we initially didn't think we would like it. However now that we are used to it I would never want to go back to propane or regular electric. Not only is it much faster and easier, but it takes up less space all around and you can simply unplug it and use it outside whenever you want. The problem I see with the induction cooktop is if you boondock you will need to run your generator to cook. So here's the thing, we were thinking that if we boondock we'd need the gas oven and also that a toaster oven would require yet another appliance. Granted, we'd lose the toaster, but toasters are smaller than toaster ovens. Also, while the oven is small, it's taller than most toaster ovens. I've heard of convection microwaves... but I've never actually used one. So I suppose that's an option. But again, limits the cooking when you don't have electric. We have lots to learn. I don't know what you plan to use your oven for but we have found that we can make everything we want on the range or in a crock pot/pressure cooker. You just adapt to what you make to the equipment you have. Your kitchen will not be as well stocked as when at home, space and weight are at a premium. Also, different parts of the country carry different things. I have learned to never go to the supermarket with a specific meal in mind, probably can't find all the ingredients. Story: Decided we wanted some cheese and crackers for snacking, small town supermarket. Crackers we found. Asked about some cheese thinking Alouette or Boursin in our minds, all they had was Cheese Whiz!!!! We considered deleting the oven when we ordered our rig last year. In fact we did delete it on the original order. My wife absolutely hated trying to lite the pilot light once we were set up at each new location in our old rig. Then before our order actually went to the manufacturer they came out with a new oven option. It is from Furrion and it is more like a residential oven in that it is a little larger than the typical RV oven and it has electronic ignition. I was very happy because I didn’t really want to get rid of the oven. We spend time without hook ups at some of our favorite stops and I wasn’t keen on having to run the generator to cook in the convection oven. We changed our order and went with the new Furrion oven. We are very happy with it. Not sure if this will be an option in the rigs you are looking at, but maybe it will. Really folks, I do understand that space is at a premium and the limitations of an RV oven. I like to bake. I like biscuits and breads (yes, i know bread won't fit) and pies and cobblers. I like just knowing I have the option. I even bake when we're primitive camping, in my dutch oven over a campfire. But I certainly prefer a real oven. I'll think about it. I appreciate the information you've all given me on the ovens. Thanks! I even bake when we're primitive camping, in my dutch oven over a campfire. But I certainly prefer a real oven. Now your talking, X2 on the Dutch Oven. In the past I regarded those propane fire pits used for ambience to be a waste of propane, but I'm reconsidering that as we have a tripod for fire ring cooking that could work with the gas pit. Now I have a taste for cornbread! Your situation is very similar to mine so I will tell my story and parts might help. My wife and I lived in a high COL area, Long Island, NY. As we approached retirement age, I did the calculations and realized I was going to need to work until about at 70 in order to afford to retire there. Instead we agreed on an RV. We bought it and left it in the driveway for the next year while we downsized and prepared the house for sale. Once we had a contract and the buyers got loan approval, I gave notice, we moved excess stuff into storage and we took off as full timers in our RV. 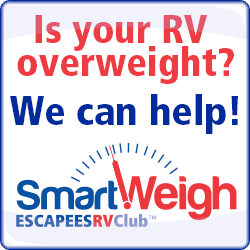 RV travel was very low cost compared with living in a house on Long Island. We also had some nice returns on our investments. The lure of the new grandkids was too much and we eventually resettled back in NY. We decided well in advance to travel and live in a small RV. We did not want to deal with the equivalent of a house on wheels. We bought a 9 1/2 ft Northstar Igloo truck camper. It turned out to be about perfect for the two of us along with the two cats. We have a full queen sized bed, plenty of clothing storage space, a 3 burner stove, microwave (hardly ever used), 2 bowl sink, dorm sized refrigerator, pantry, large coat wardrobe, 6x3 ft for misc storage, and a wet bath/toilet. The back seats of the crew cab truck also provide quite a bit of additional storage. We don't have any slides so we are inconspicuous and can park and stay almost anywhere a car would fit. We have a generator to run A/C or microwave if needed. We also have solar panels so we can avoid the need for hookups. 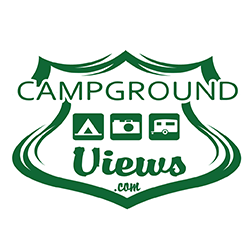 We averaged $7-10/night for camping since we rarely stayed in RV parks or the equivalent. The unit we chose did not have an oven but one is available with minimal loss of storage space. The wet bath is a bit of a nuisance, but that nuisance keeps the size and weight of the RV down. After a shower we need to shake the shower curtain and we squeegee the walls. That takes all of about 1 minute and the bath is then pretty much dry. 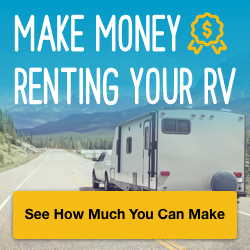 If you want to keep costs down, be able to stay almost anywhere and want to do a lot of traveling, I recommend the smallest RV that meets your needs. Some like TTs since they can be left at the campground for the day. That does not work well for a truck camper. On the other hand it is great to be out for the day and to have everything with you. We can stop at the side of the road, have lunch, use the facilities and even take an afternoon nap. Let my know if you have any questions. We boondocked the majority of time. We grilled outside or cooked on the gas stove. Our coffee pot was a stove-top perculator which made awesome coffee and our toaster was buttering the bread and putting it in a frypan which is terrific. We had a microwave/convection but just used it for short cooking with the inverter. We had solar. You don't need a lot of appliances when boondocking. I've yet to figure out how to really use it for baking over a propane fire, since you put coals under and on the lid to bake on a wood or charcoal fire. But I do love my Dutch Ovens. I have one with a bail and legs for camping and one for the kitchen that's just like a cool cast-iron pot. We bought a 9﻿ 1/2 ft Northstar Igloo truck campe﻿r﻿﻿. It turned out to be about perfect for the two of us along with the two cats. We have a full queen sized bed, plenty of clothing storage space, a 3 burner stove, microwave (hardly ever used), 2 bowl sink, dorm sized refrigerator, pantry, large coat wardrobe, 6x3 ft for misc storage, and a wet bath/toilet. I had to Google that camper. I have to say, I'm impressed! I would never think you could fit all that in the back of a pickup! My husband would NEVER go for it - but pretty neat. Inverter should run it fine depending on your set up. It simply plugs into a regular outlet. I haven't looked mine up to see amp draw but with my battery bank it isn't an issue. Thanks. I've looked at those and kind of like the Arctic Fox versions. Unfortunately the closest dealer is 2 states away. My husband and I stopped briefly today and looked at some trailers by Grand Design, the Imagine line. Very, very nice. I'd never heard of that manufacturer. Does anyone know anything about them? Grand Design was only in business for about 4 years when Winnebago bought them and took over back in November of 2016. They state that their trailers are designed for full-time living. Most of what I have heard of them is good, but I have no direct experience with them so hopefully someone here has. Thanks Kirk and Rick. The video was interesting. Doing some research and found this: https://rvlifemag.com/10-top-travel-trailers/ Grand Design ranked 2 of the 10, which is kind of impressive given all the manufacturers out there. I have to say, they were probably the nicest we've looked at. We hope to see some Winnebagos when we go to Colorado in October to see our son. I didn't know that manufacturers may have a clause voiding the warranty for full-time use! Did I see that here somewhere or on another site??? Anyway, that's something that never, ever occurred to us, so we'll start looking into that for sure! I never heard of anyone who had a problem being a full-timer and the warranty. In actuality, many of the items in your rig are warranted not by the mfg. of your rig but by the mfg. of the component(oven,refrig etc). Also, the warranty is normally only for one year. I think the wording is a CYA, kind of like going to a store and they say "no checks" and they take checks. The sign is there so the refusal of a check is covered. I didn't know that manufacturers may have a clause voiding the warranty for full-time use! Did I see that here somewhere or on another site? It could easily have been here. 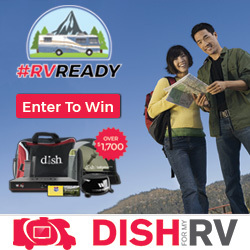 It is important to read all of the warranty of any RV, or most other things as well before you buy. That exclusion is fairly common but it is seldom ever a problem as the previous post is correct about the appliances and vendor supplied items. Where it could come into play is if you experience a major structural problem of something like a sidewall delamination or a frame issue while the warranty is in effect. I more than 30 years as an RV owner I have only known of a very few who had the problem but I do remember 1 case where the manufacturer didn't honor a structural issue in the front framework of a fifth wheel based on the full-time disclaimer. I have heard of 1 or 2 other cases but that is the only one that I know of first hand as it happened to people that we knew pretty well. It probably won't happen, but it could. Some RV insurance policies have that same sort of exclusion.